This cottage was purchased by its private owners in 2003 for their weekend cottage. 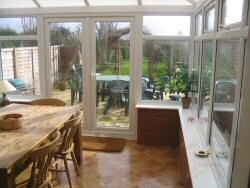 It was completely renovated and a conservatory was added to it. It is very comfortable and exceptionally well equipped. The stunning beach at Brancaster Golf Club is about 1½ miles away and the bird reserves at Titchwell and Holme a little further to the west and Burnham Market, Holkam and Wells a short drive to the east. The beaches, walks and places of interest are many and varied. There are details in the cottage. The cottage is on a private road with views over open farmland and lots of off road parking. 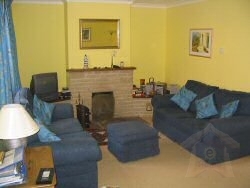 There are two sitting rooms, one with TV, video, stereo and open fireplace and the second with a five-foot sofabed. This is ideal to separate noisy children from adults! The new kitchen has washing machine, dishwasher, double oven cooker, microwave and fridge-freezer. 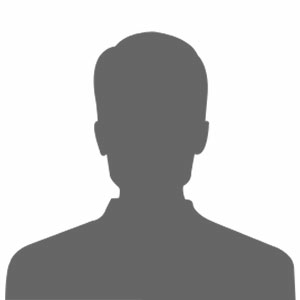 It is equipped to a high level as the owners wished for themselves. The kitchen table easily seats 4. The conservatory, as well as leading onto the terrace and then to the garden, has a dining table which seats 10. On the terrace there are garden chairs, table and barbeque. There are three bedrooms upstairs, a double with en-suite facilities and a fitted cupboard, a large twin with walk-in cupboard and a smaller room with bunk beds. The cottage is centrally heated and all electricity, linen and towels are included. No smoking please and no pets (we have an asthmatic child). The cottage is available all year round and rates vary according to season. Mid-week/weekend breaks are discounted, other than at peak times. For bookings contact Roger and Lorraine Raisbury by Email and Phone.